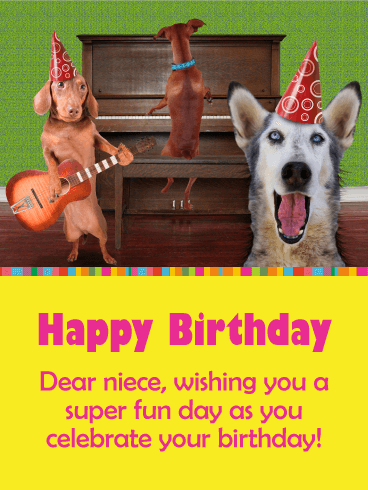 Send this spectacular birthday card to your niece on her birthday, it will surely put a smile on her face! 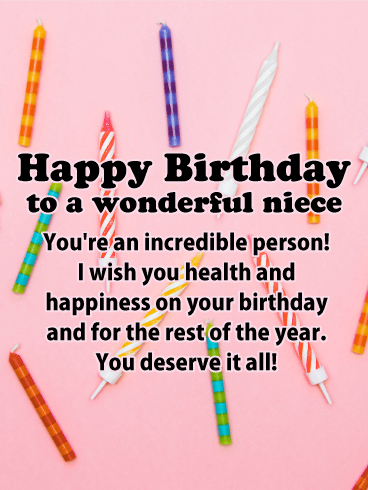 The celebration balloons and sparkles will get your niece excited about her birthday, and she will appreciate that you took the time to send her such a great birthday card. 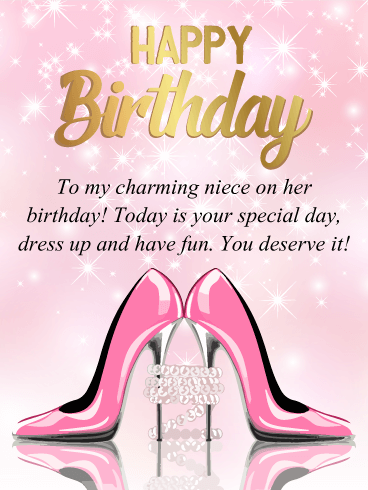 The birthday message against the pink background will let your niece know that you are hoping she has an exciting celebration. 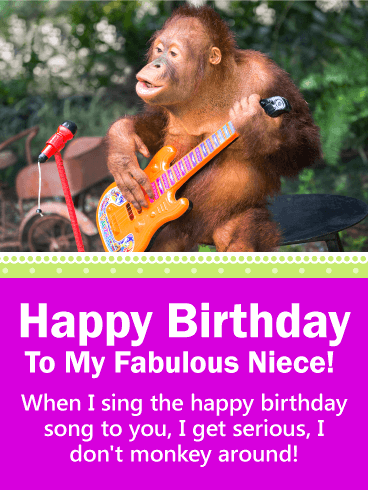 So send this awesome birthday card to her today! 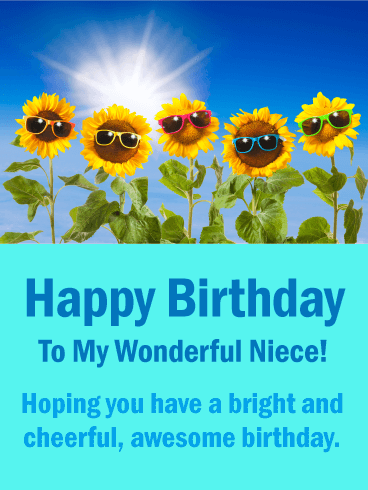 Happy Birthday - Sending special birthday wishes to you, my dear niece, and hoping you have an exciting celebration! 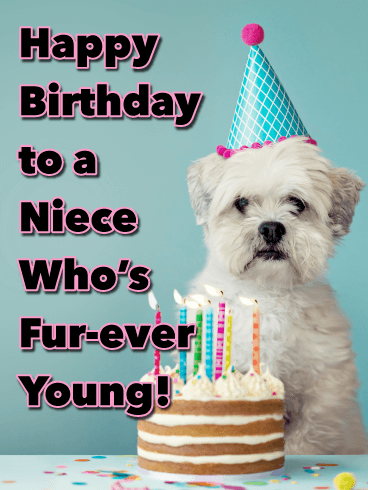 This beautiful birthday card would be perfect for your niece on her birthday. 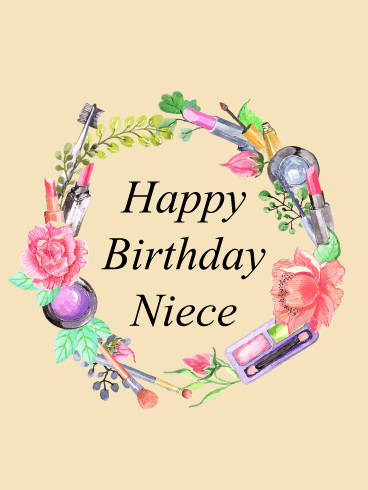 It features pretty images of flowers and makeup that come together to form a circle around the very special message that you are sending her way. 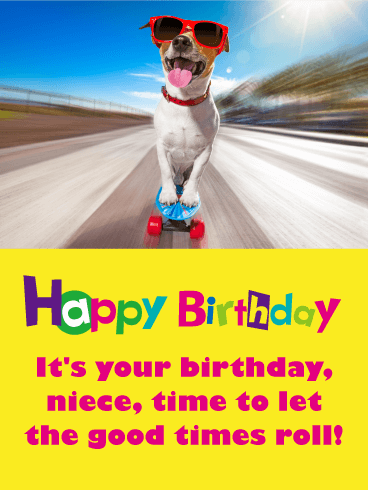 This message will let your niece know you are wishing her a happy birthday. 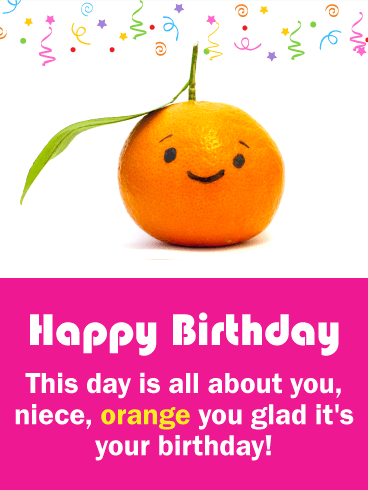 So send this well-designed birthday card over to your niece to show her you are thinking of her on her special day. 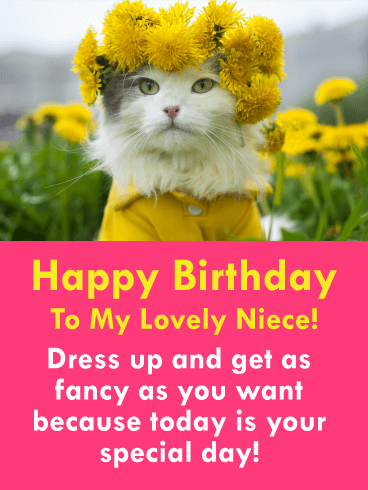 If you are looking for an exceptionally beautiful birthday card to send to your niece on her birthday, you just found it! 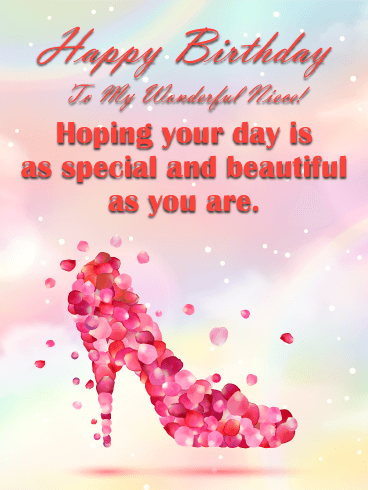 This birthday card features a unique high heel shoe that is made of rose petals. So pretty! 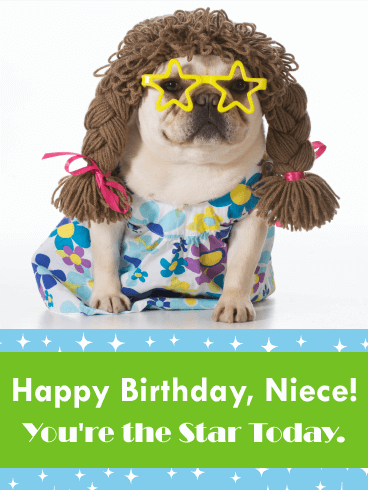 Your niece will love it. It also displays a wonderful pastel colored background that looks great. 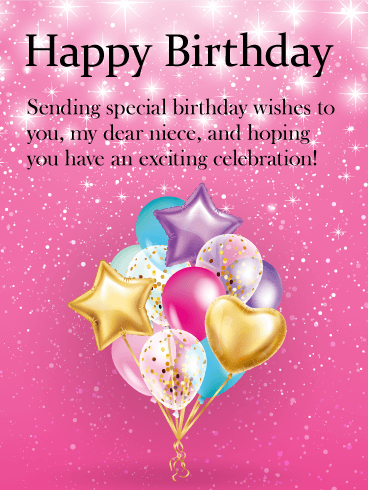 So send this birthday card out today to let your niece know you are wishing her a day that is as special as she is!